All new Maxi Collagen H.A.™ is the joint and skin formula you have been waiting for. It combines collagen with hyaluronic Acid. 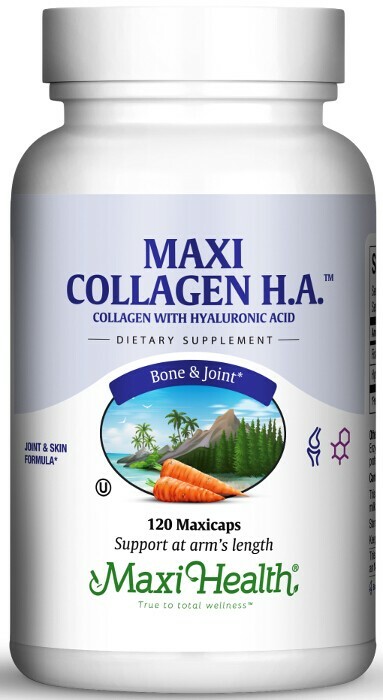 Now you can take Maxi Collagen H.A.™ every day. Other Ingredients: Vegetable cellulose, magnesium stearate, Enzymax (calcium carbonate, bromelain, papain, lipase, amylase, protease, silica), and rice flour. This product contains NO soy, wheat, gluten, yeast, sugar, salt, milk, artificial flavors, colorings or preservatives.